As you guys now I am a huge fan of Louis Vuitton. Not only am I obsessing over their collections I have also developed a great love for their incredible perfumes. In 2016 Louis Vuitton dived into a new territory of fragrances and started their journey of scents. Since then Louis Vuitton has released several fragrances, each of them precisely composed by Jacques Cavallier Belletrud in Grace. The perfumes are all very different, yet always united in their extremely femininen and floral notes. Last year Louis Vuitton gave me the opportunity to visit Les Fontaines Parfumées in Grace and go on an unforgettable journey of scents. You can read everything about it in my blogpost here. This year Louis Vuitton continues its beautiful journey with three new perfumes „Les Colognes“. Travel. Always and forever is the theme of the new collection. Deeply inspired by Los Angeles, Louis Vuitton creates an image of endless holidays, astonishing destinations, capturing the sun, the sky, gardens and the sea. The new perfumes are scents of optimism that announce, intensify and extend the feeling of summer. They are the colors of summer and endless warm summer nights. As I cant wait any longer for spring and summer to arrive, these fragrances set me into the right mood and make it easier for me to wait until temperatures will finally rise. Their names carry the promise of adventure and endless travel. Sun Song, Cactus Garden and Afternoon Swim. Three fragrances that all have the spontaneity of Colognes paired with the sophistication of perfume. Louis Vuitton always combines heritage with innovation and style. 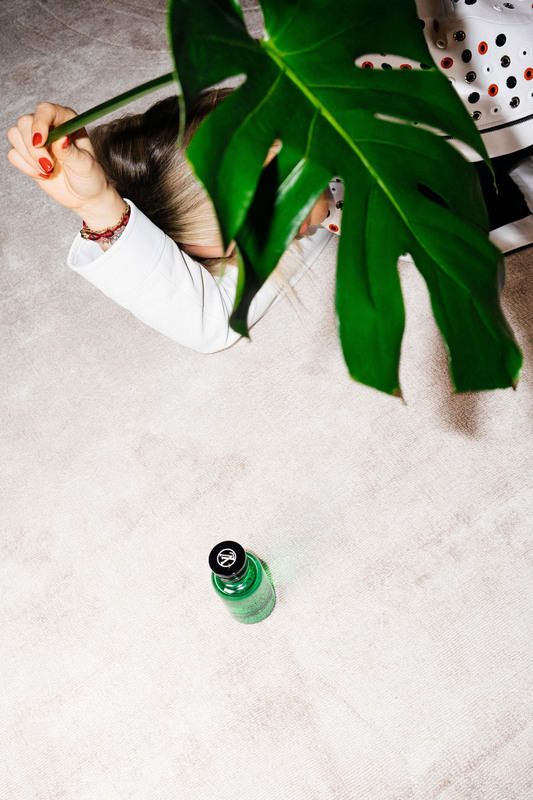 The French Maison has created Cologne Perfumes, a new term for perfumes that illustrate the special relationship between the lightness and airiness of a citrus and the depth of flowers. 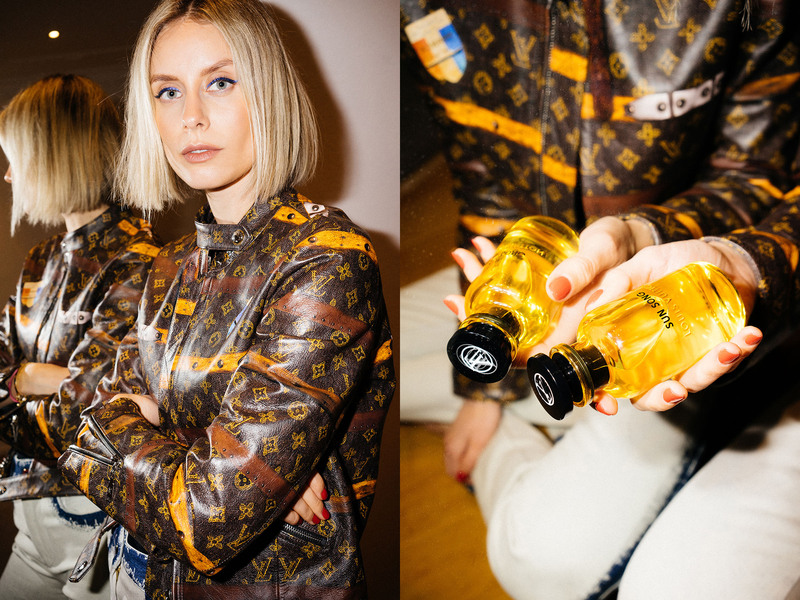 To underline the cheerfulness and joy the perfumes create, Louis Vuitton has invited Alex Israel, an LA based multimedia artist, to create the packaging. Pairing the fragrances with symbolic artwork, perfectly captures the spirit of each scent. What does California smell like? Deeply inspired by a L.A setting, Louis Vuitton has created three new fragrances that express the Californian way of life. Long stretches of beaches, palm trees, cacti and that special sunlight. The West Coast is wild, free and passionate. Features that Louis Vuitton wants to indicate through their fragrances. Each scent is influenced by the others, while also standing alone. „Sun Song“ is the yellow perfume bottle. An oversized sunglass lens that looks like a shot of light, decorates the packaging. A cheery combination of orange blossom, citron, and musk. It chants of beautiful weather and the sunlight reflected in the sea. Orange blossom determines the scent, whereas citron boosts the ambiance and sets a crisp accent. Musk caresses the fragrance discreetly. The green bottle is “Cactus Garden”, a very earthy and fresh combination of maté, bergamot and lemongrass. Its packaging shows a beautiful landscape with a cactus that is supposed to offer shade from the hot Californian sun. The maté is the central smokey element of the fragrance, accompanied by the bitter and powerful bergamot. Lemongrass completes the fragrance and adds a sharp burst of energy. „Afternoon Swim“, the blue bottle, is full of energy. A powerful and strong combination of orange, bergamot and mandarin. A refreshing blend that reminds you of the sea washing over your skin on a hot summer day. The packaging features Israel’s signature wave motif. Taking a dip into the ocean of senses, a wave of bliss. The citrus note is extremely fresh. It invigorates the perfume. A touch of ginger and bergamot sets a great contrast to the fresh and fruity orange and mandarin. I am wearing Louis Vuitton from head to toe. You can take a look at the beautiful SS19 collection here.